Newport County chief Dave Boddy says Football League clubs are not convinced by plans to boost the English game at club and international level. A Football Association commission announced four key recommendations on Thursday. It includes the creation of a new tier within the Football League to accommodate Premier League B teams. "I think they'd have to do a lot to convince Football League clubs that it's the way forward," said Boddy. "I think it will be taken to the Football League conference in Portugal in June, but I have to say that there wasn't a lot of appetite for it amongst Football League clubs at the meeting I attended in February in Derby," he added. "Whilst the aims are laudable to produce more international players I think the culture of our game is at question." A number of Welsh clubs play in what is known as the English pyramid - Swansea City, Cardiff City, Newport County, Wrexham, Colwyn Bay and Merthyr Town. Football Association chairman Greg Dyke has warned that failure to adopt his plans to improve English football could lead to a bleak future for homegrown talent. He told BBC Sport: "It's not enough to say we will do nothing." His commission, he said, had thrown up analysis that was "pretty damning of the future for English football". The review also calls for a reform of the work permit system to reduce the number of non-EU players in the Premier League, a reduction in non-home-grown players in the top-flight and a strategic loan partnership between the Premier League, Championship and lower-league teams. However, Newport chief executive Boddy believes a lot more detail is needed on the plans to reform the loan system. "That almost looks like clubs are going to become nursery clubs or some clubs are going to be getting an advantage over other clubs," he said. "So there's a lot of work to be done on it." Newport finished 14th in League Two in their first season in the Football League and Boddy does not think the recommendations, particularly the creation of a new tier, will benefit the Exiles. "I think it's going to change the integrity of the competition and what the competition's about," said Boddy. 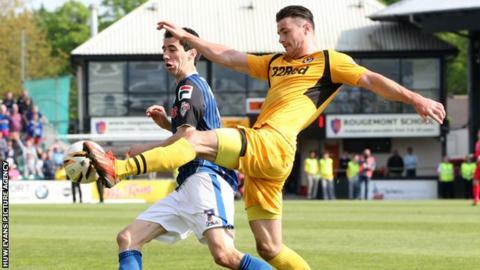 "I can't see too many positives for Newport County. "I guess, I don't know, effectively we are talking about reserve or development squads and whether that changes the nature of the competition and whether that will be attractive to supporters those are the questions we need to find the answer to. "But personally it's not something I'd be keen on."